As the debate over human embryonic stem cell research intensifies, patients who have embryos left over after undergoing fertility treatments face a choice of discarding them, giving them to other couples, paying an annual fee to store them or donating them to medical research, USA Today reports. Patients with frozen embryos are the only ones legally entitled to decide what to do with unused embryos, and federal funding restrictions on stem cell research and varying state laws and programs have made the decision more “complex” for patients, USA Today reports. A 2003 RAND Corp. study estimated that there are about 400,000 frozen embryos stored at 450 fertility clinics nationwide, with 2.8% being designated for research and most the remaining saved for future fertility treatments. Some critics have said that if frozen embryos are donated to research, facilities that provide embryos to stem cell researchers will begin to encourage fertility clinics to produce more embryos for in vitro fertilization procedures that could later be donated to research. Yuval Levin, a fellow at the Ethics and Public Policy Center and former executive director of the President’s Council on Bioethics, said embryo banks might reduce pressure on patients to donate unused embryos because they “stand as a barrier between the researcher and the IVF clinic.” Arthur Caplan, a bioethicist at the University of Pennsylvania, said many fertility clinics do not mention embryo donation to their patients because of moral concerns or confusion about the laws surrounding donation. Lucinda Veeck Godsen, director of embryology at the IVF clinic at Weill-Cornell Medical School, said that the clinic has “avoided” discussing donating embryos to stem cell research and that embryo storage is a “major problem” at the facility. Godsen said 54% of the clinic’s patients have unused embryos destroyed, 43% donate them to research unrelated to stem cells and 3% donate them to infertile couples. According to USA Today, some fertility doctors say as many as 10% of embryos are abandoned. Any of these choices are going to be a tough one. I am not going to act like I would know what to do in this situation. But it is good to think about before getting IVF, because that is a choice that will have to be made. With Discarding them, it seems to be the simplest, but then again, it is an embryo that could someday become somebody. 54% of the patients of Weill-Cornell did. The second option of giving them to another couple sounds morally good, but basically that would be your child that was carried by another woman, raised by a different family, but genetically was yours. There are all types of future decisions that would also have to be made like; would you want to meet the child in the future. Kind of weird but 150 babies have been born that way, about 3% of the patients of Weill-Cornell. Third option is the most common because most people don’t know what they want to do. 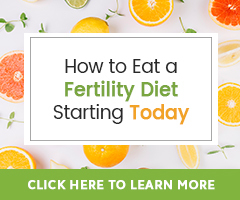 You may be planning on future pregnancies or just save them for later or until you are ready to decide what it is you want to do with the embryo. This costs around $350 a year plus shipping. Last donate the embryos to research… This has its pros (creepy though) and cons (what makes the pros creepy). If the left over embryos were donated to research that would allow for more research into all types of things, stem cell research being the hottest right now. Would the fertility clinic or the parents be paid for their embryo? Would the fertility doctors begin to make more embryos from the eggs and sperm of their patients so there were more available for research? The pharmaceutical industry has dramatically influenced the way that doctors treat patients, would this be any different? 43% of the patients of Weill-Cornell did. Embryos left over after in vitro fertilization. These are the most promising, because embryonic stem cells can become any tissue, but also the most controversial because embryos must be destroyed. A 2003 RAND Corp. study said there were 400,000 in storage. Adult bone marrow. Limited to treating blood, immune-system and a few other disorders. The number of lines is unknown, because adult stem cells are unregulated. The National Marrow Donor Program says, on average, more than 220 patients receive bone marrow transplants each month. Umbilical cord blood. Limited to treating blood, immune-system and a few other disorders. The National Marrow Donor Program, the largest registry, says it has more than 50,000 cord blood samples. Amniotic fluid. Researchers at Wake Forest University and Harvard University reported this month that they had drawn stem cells from the amniotic fluid of pregnant women, but more research is needed. As we go deeper down the rabbit hole, the morality of the decisions that we have to make gets more complicated. Who would have known that there are an estimated 450 fertility clinics with 400,000 embryos in storage (1)? This is a decision that can only be made by the “owners” of that embryo, and most don’t know what to do, so they keep them in storage.